So, what is there to sightsee around San Diego harbor, anyway? This is the first of a mini-series; I’ll be posting great photos taken by us/of us while our guests are experiencing a typical sailing tour with us on San Diego Bay. 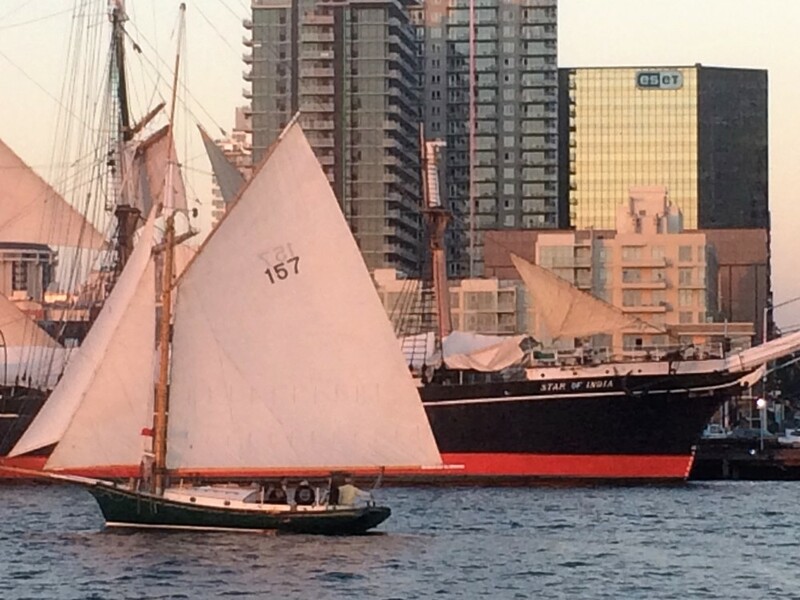 Of course, there is nothing ‘typical’ about our active and beautiful harbor, or our classic sailboat! The photos will not be in any particular order – how can one choose a ‘greatest hit’?! Stay tuned for the next one!